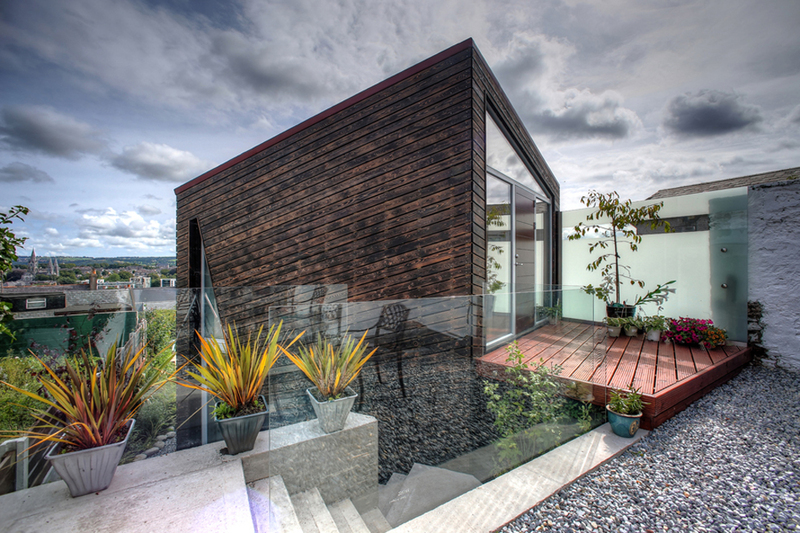 Architecturally designed stand alone extension to rear of existing house. 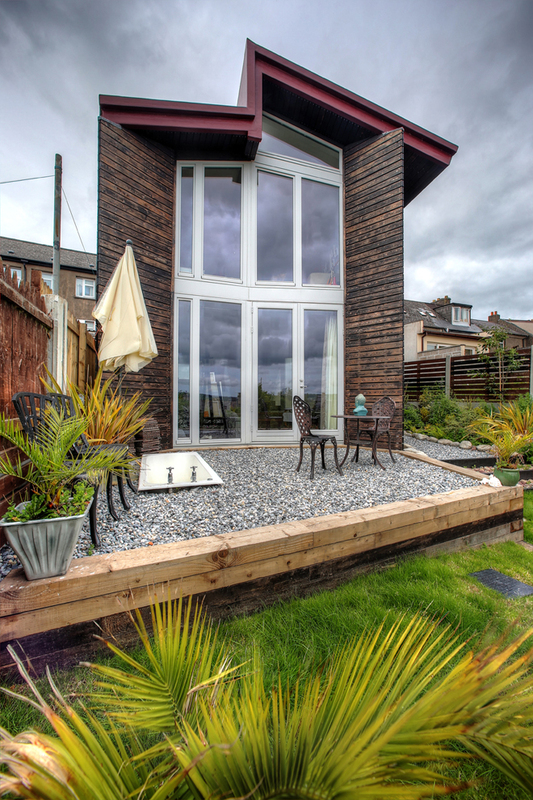 The build required all material to come through the existing terraced house. 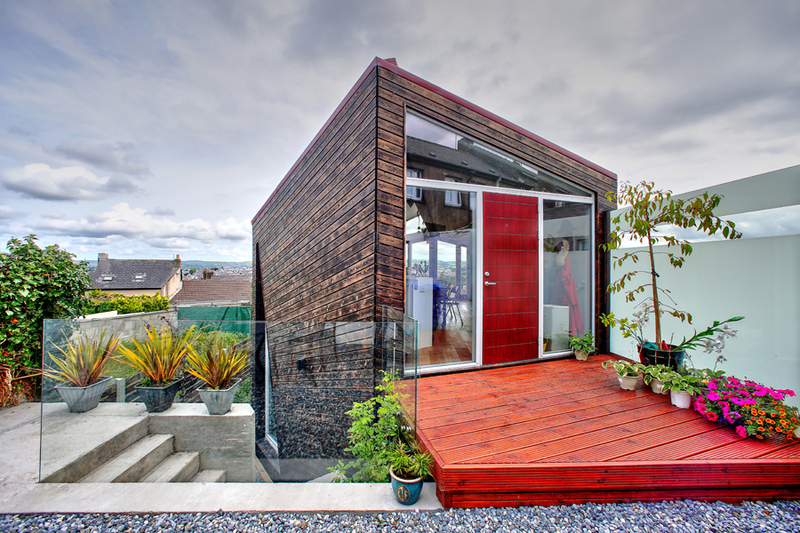 This extension/pod has a low carbon footprint because of the use of sustainable materials. Essentially it’s a timber frame house built on 8 no. 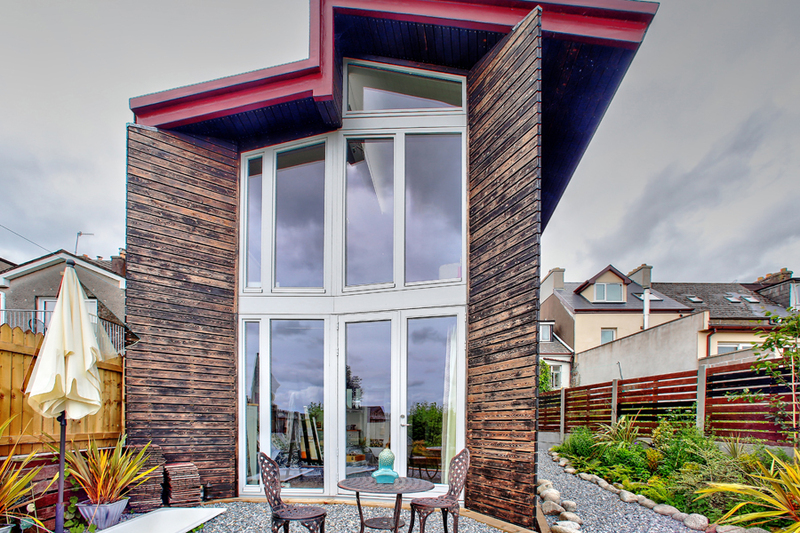 steel stilts with airtight construction with a DuPont Tyvek uPVC facade membrane and burnt oiled larch cladding. Its octagonal shape and positioning allowed the two-storey structure to exist in its own space without negatively impacting light and views of the south facing the garden. View from the garden shows the south elevation with an overhanging roof. 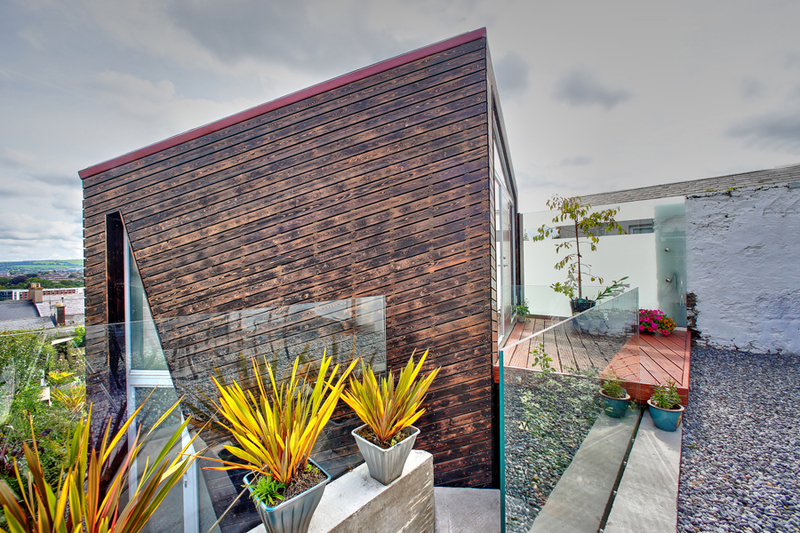 All rain water is designed to be channeled through the structure to allow the timber cladding to dominate. 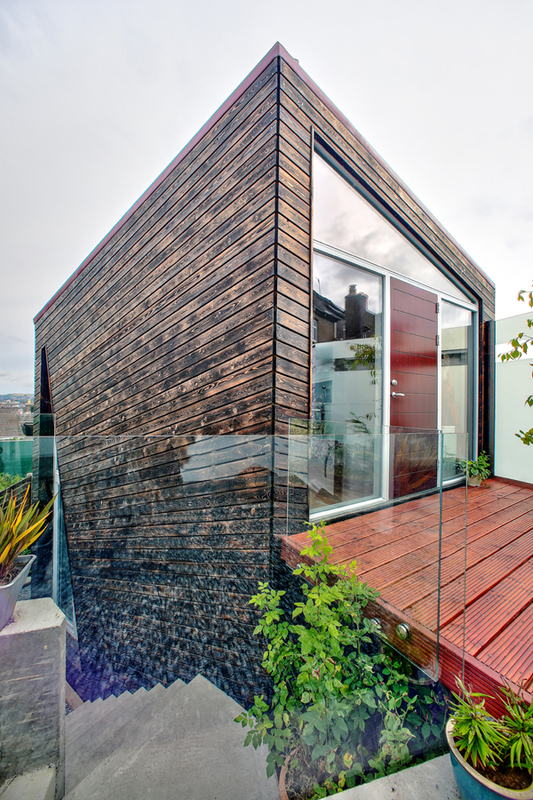 View from the door of the existing house combining concrete steps, glass balustrade, and timber cladding. Note the reused sunken enamel bath. 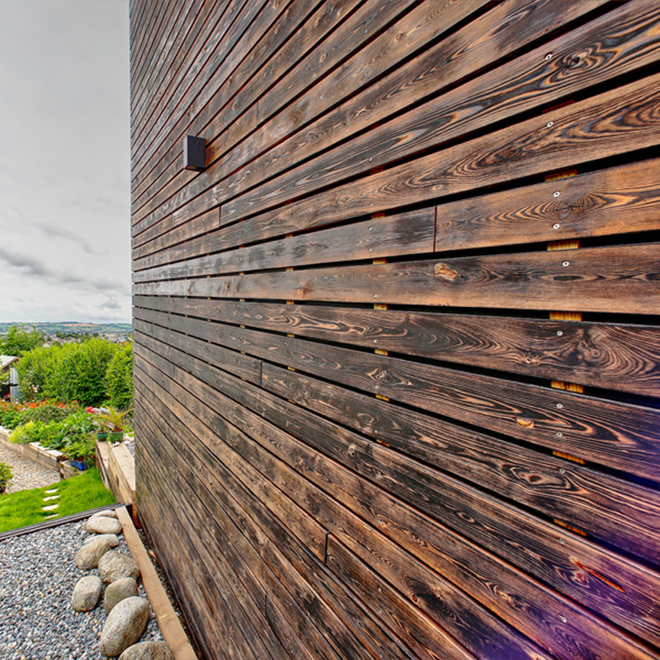 This high spec build-up comprises the latest materials and technology incorporating the ancient Japanese technique of burning larch timber to weather it. Shows the building sympathetic positioning witch allows southerly light to flood around the structure.